Longview High School Tour - 4:00 p.m. If you haven't been through the high school lately, it has definitely changed! With the removal of all the lockers and the addition of the new Arts Center, you won't want to miss the tour. There is no cost and just going back to the school can bring back so many memories! 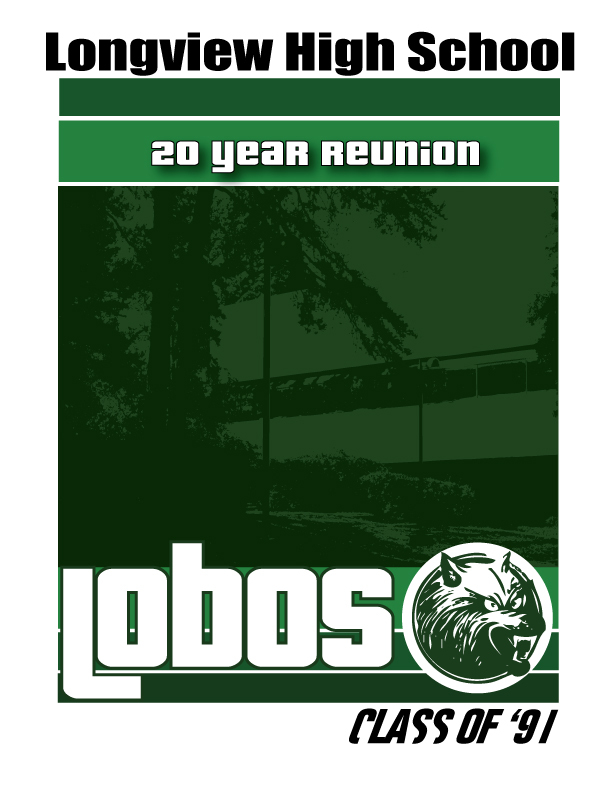 Lobo Football Game -7:30 p.m.
Let's celebrate Fall Football together. Come root on the Lobos as they take on the North Mesquite Stallions. Bring your spirit and your family. If you are interested in attending the game, you can purchase tickets below. Come support LHS! Bring the kiddos or just yourself and picnic family-style. Bring your lunch and enjoy the fall air at Kidsview Park. This event has no cost so if you can't make the Saturday night event - this is a great way to reconnect with your past classmates and friends. D.J., Dancing, Old Friends and more are waiting for you at Pinecrest Country Club on Saturday Night. Come join everyone for a great time and to reconnect. It is hard to believe it has been 20 years already, but the time has come to celebrate this monumental milestone in our lives. Pinecrest Country Club is located at 214 Club Drive, Longview, Texas 75602. There will be heavy appetizers, cash bar and lots of fun. Purchase tickets below.